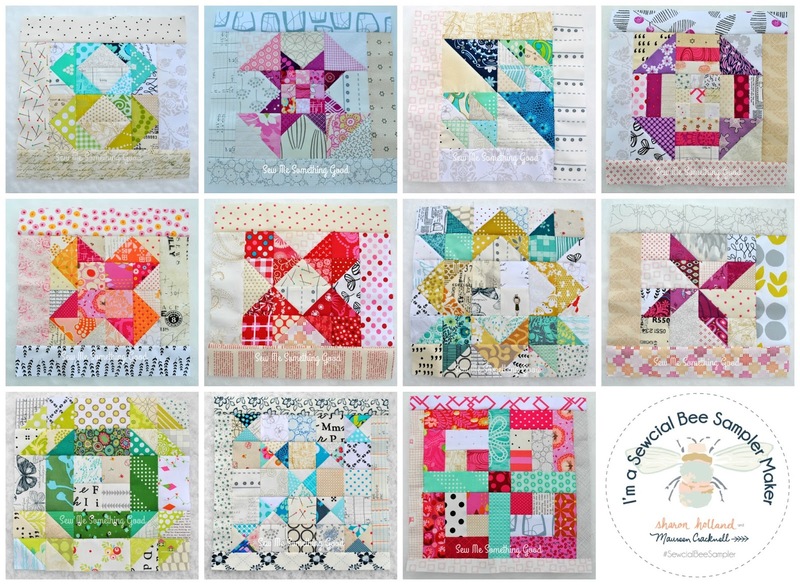 The Sewcial Bee Sampler sew along, hosted by Sharon Holland and Maureen Cracknell is now at week thirteen! 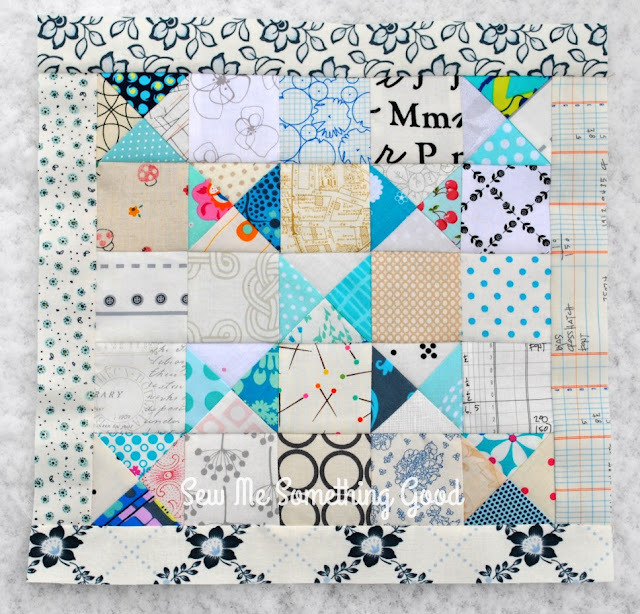 (for the free download to make this or the previous blocks, visit Maureen's or Sharon's blog). I'm continuing to make a collage each week to see how my blocks look together and to help me keep a good mix of colours in my quilt. I'm aiming for a rainbow of colour, mixed with as many low volume fabrics for the backgrounds as possible. 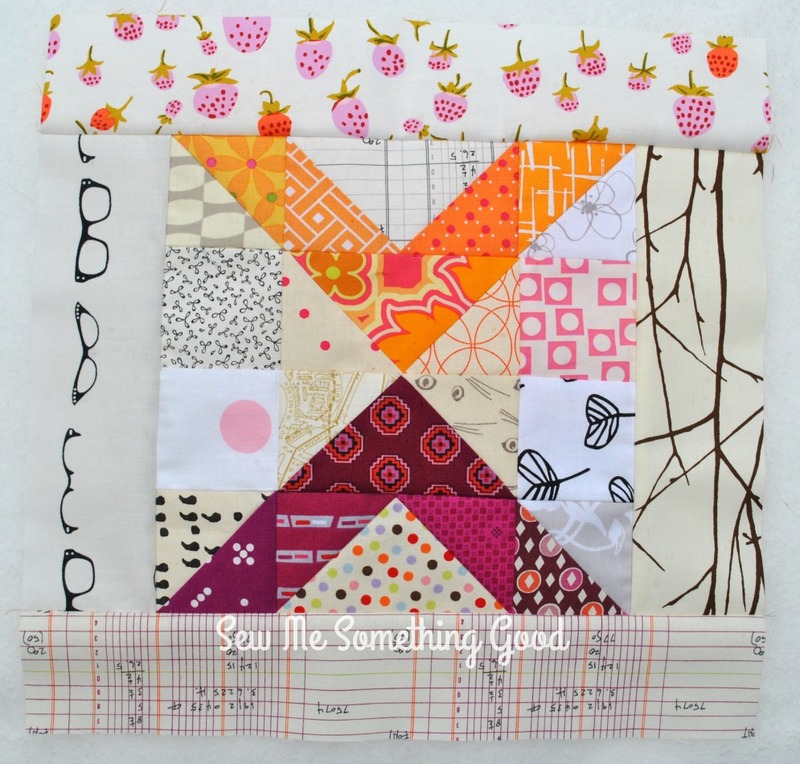 It's exciting to see the spectrum of my scrap stash and I look forward to each new block and the chance to be creative in my fabric combinations. What a fun way to start the week! 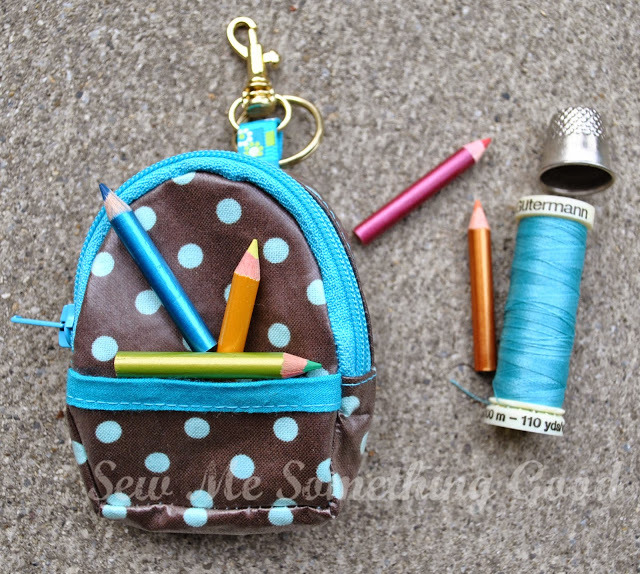 Today is the start of a two week blog tour for the book, No Scrap Left Behind, written by my inspiring, sweet friend Amanda Jean Nyberg ( Crazy Mom Quilts). You don't want to miss out on the fun projects being shared each day or your chance to win a free copy of No Scrap Left Behind - there will be a book giveaway at each stop on the tour! I'm looking forward to sharing my version of one of the quilts in the book, one week from today. 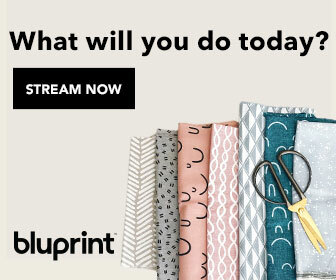 Until then, let's check out all the scrappy inspiration from Amanda Jean and the lovely bloggers that have made projects from her new book! 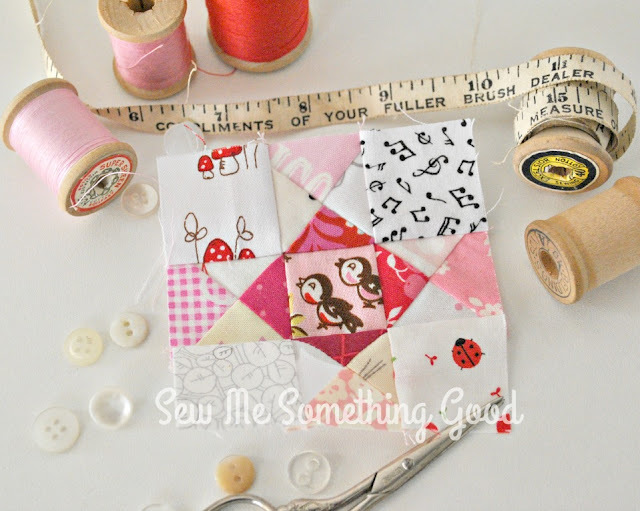 Remember that tiny block I made using scraps? 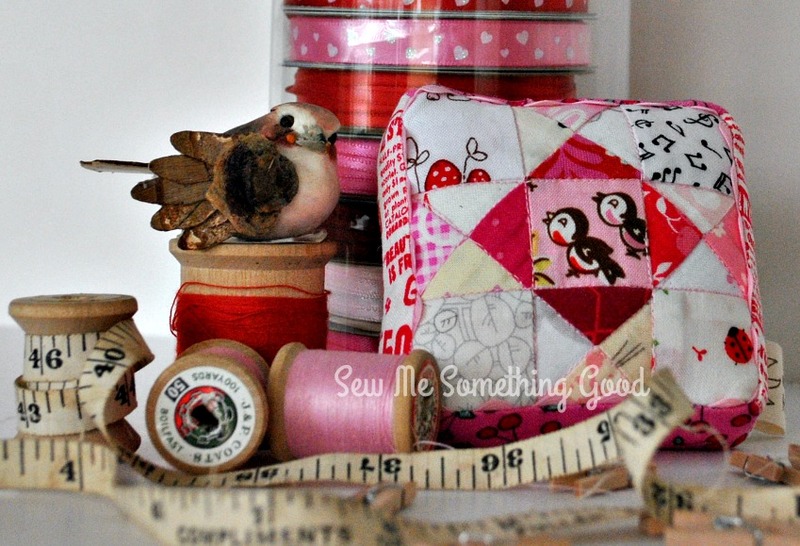 I've turned that sweet bit of patchwork into a wee pincushion, complete with a touch of ric rac. 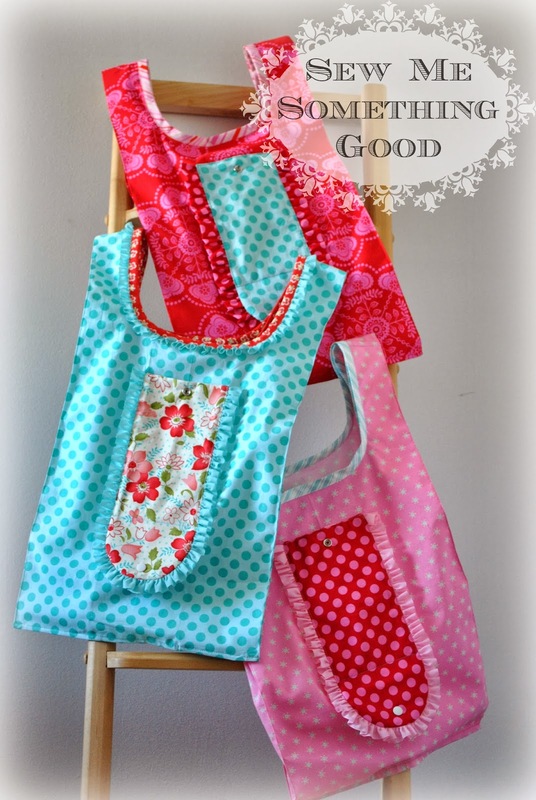 I love how even the tiniest bits of fabric can make something sweet and useful. Right Angle is the block for this week of the Sewcial Bee Sampler sew along, hosted by Sharon Holland and Maureen Cracknell. 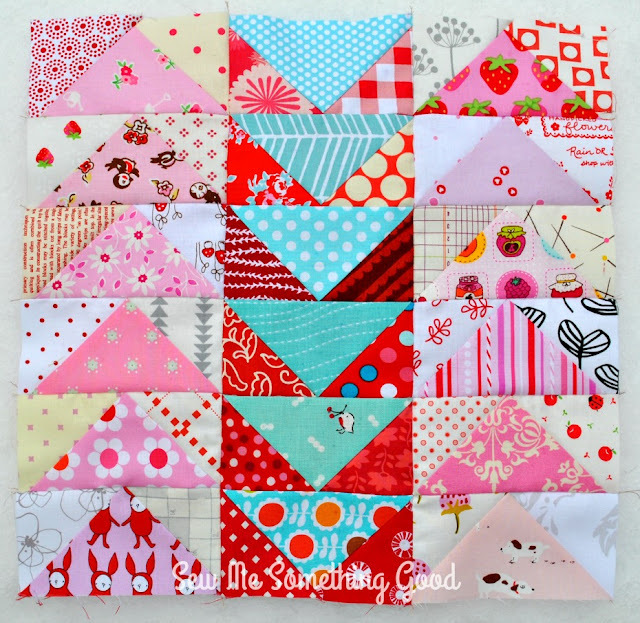 Week 12 means we are halfway through the blocks for our quilt in this sew along! (for the free download to make this block, visit Maureen's or Sharon's blog). 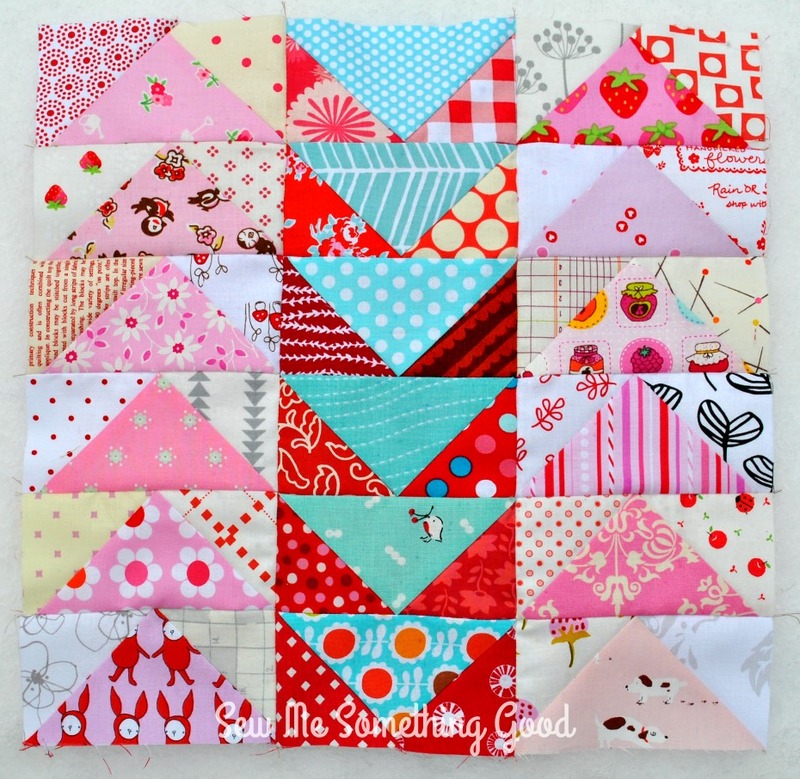 My version is tweaked a little - I substituted some flying geese for a few of the half square triangle units in the block design. This meant that I didn't have as many seams and it kept the larger orange print fabric in one piece. 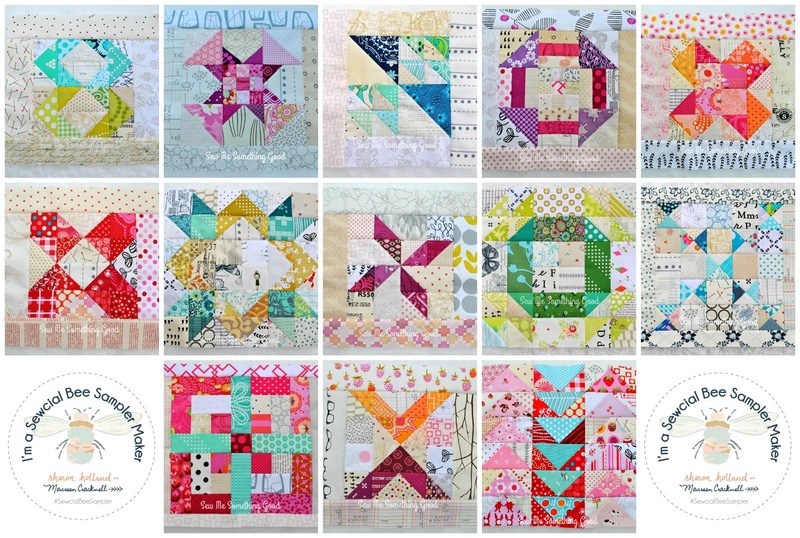 This sew along has been a wonderful opportunity to dive into my scrap stash to make each block one-of-a-kind. I'm happy mixing colours and prints to my hearts content! Although it's not just the colours that delight me - the chance to incorporate so many low volume fabrics also excites my creative juices. 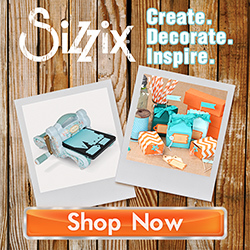 I started collecting low volume fabrics a few years back, being inspired by the low volume creations of Jolene at Blue Elephant Stitches, Svetlana at SOTAK Handmade and Stina at Kviltstina. It has taken some time to curate a healthy stash of low volume fabrics, and it helped to participate in an online swap of low volume fabrics (cut into 10" squares, some of which I have never used until this sew along). I am always on the lookout for "just right" low volume fabrics because I know that they can make a huge difference in a scrappy patchwork project. This block is a good example of the impact a variety of low volume prints can make (wish I'd bought yards and yards of that strawberry print by Heather Ross and that I had more than a 10" square of the hipster eyeglass print ;o). Blocks 1 - 12 for the Sewcial Bee Sampler sew along! Can you believe it? This is week eleven in the Sewcial Bee Sampler sew along, hosted by Sharon Holland and Maureen Cracknell! 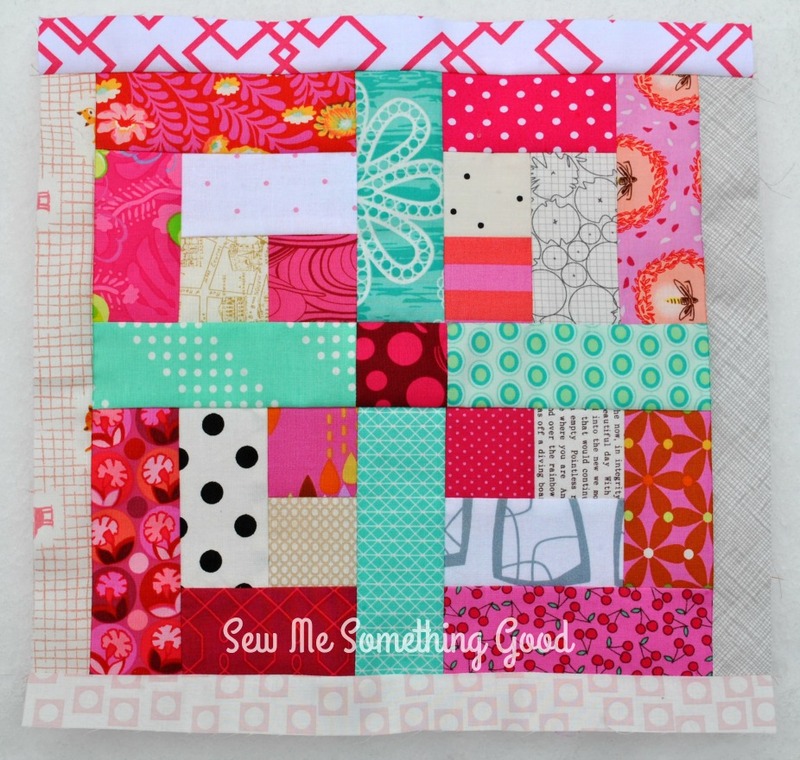 Four Square is the block for this week (for the free download to make this block, visit Maureen's or Sharon's blog). Here's my up to date collage of blocks 1-11, in all their colourful, scrap happy goodness. 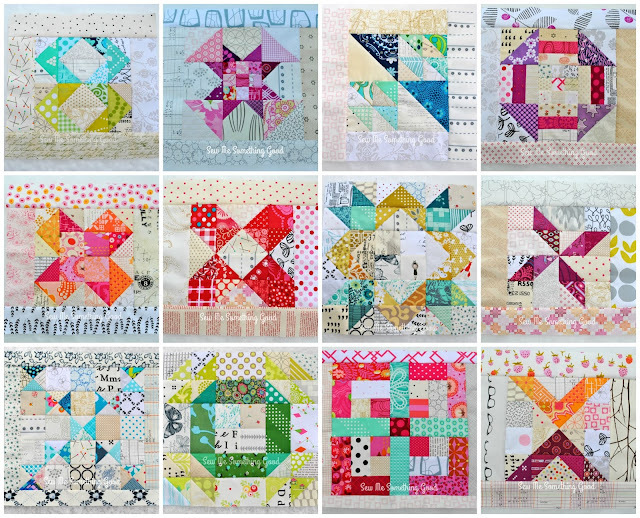 This is week ten in the Sewcial Bee Sampler sew along, hosted by Sharon Holland and Maureen Cracknell! 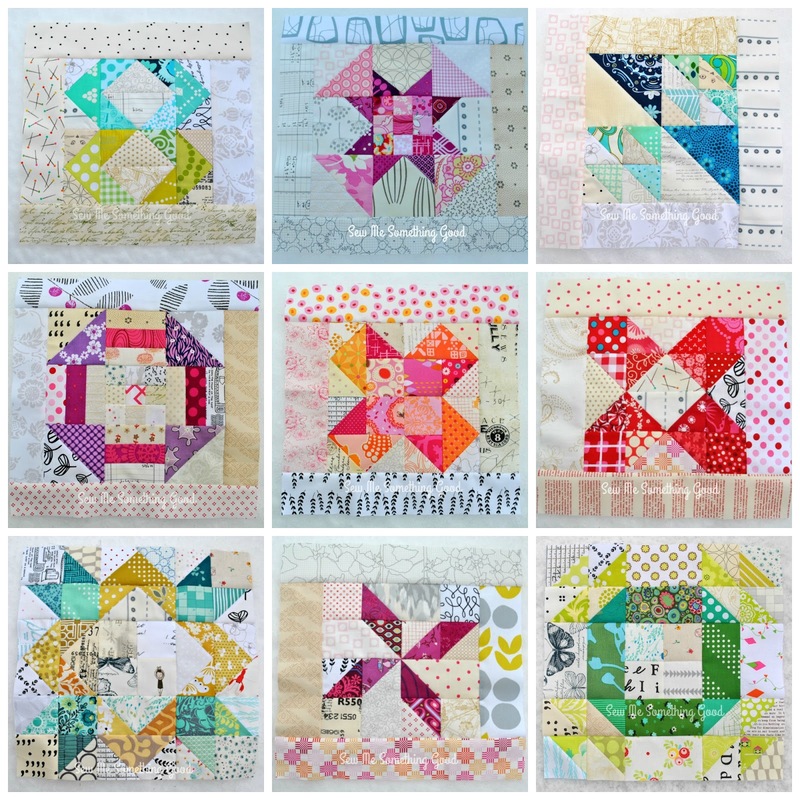 Butterfly Crossing is the block for this week (for the free download to make this block, visit Maureen's or Sharon's blog). This block is one that takes a bit more work to make, but I found it to be a wonderful design for using lots of scraps. I used 34 different, low volume scraps for the block itself, PLUS another four low volume fabrics for the borders and there are 18 different blue scraps for the butterflies! 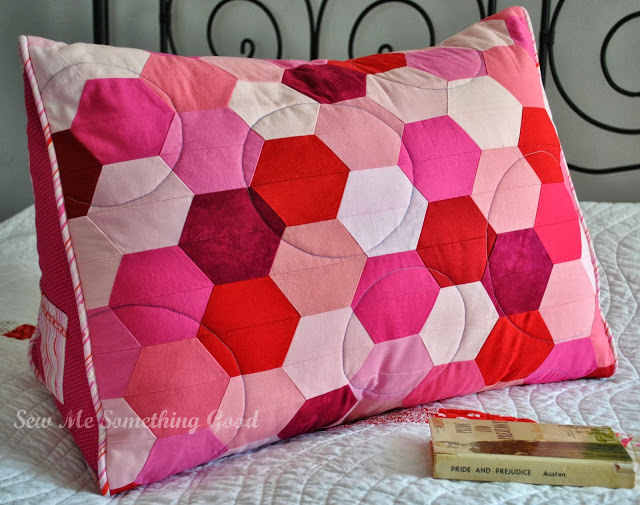 It makes me all kinds of happy seeing so many favourite pieces tossed together like this! I'll be adding Butterfly Crossing, to this colourful mix of blocks made for weeks 1-9. There are fifteen more blocks to make in this sampler before we finish and I am getting so excited to see the blocks together! 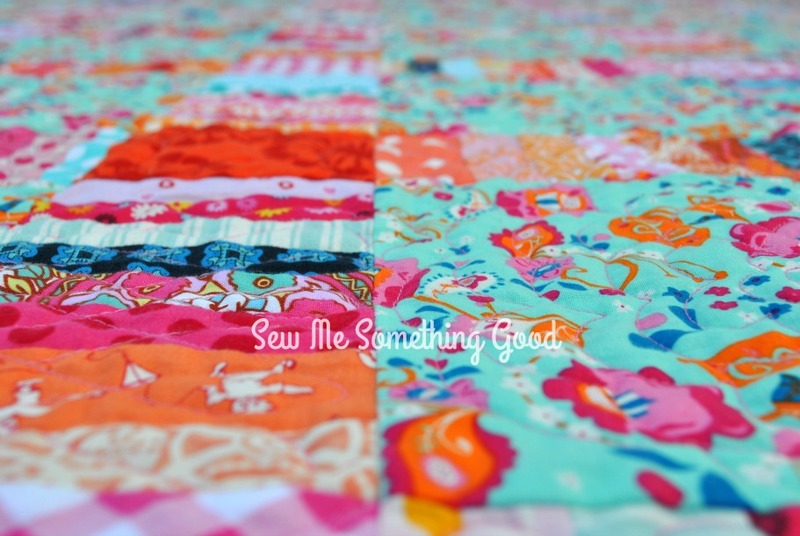 Thinking about joining the sew along? It's not too late! The blocks are great skill builders and Maureen and Sharon are doing a wonderful job of inspiring and cheering us all on. 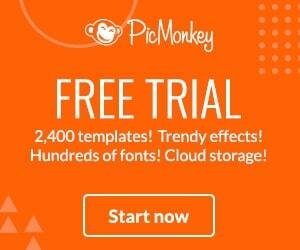 You will find lots of helpful tips, too! Instructions for each block are well written, so it's beginner friendly and for those of us with a bit of experience, we are certainly free to play a bit with things (as I have been doing by making extra pieces several of my in my scrappy versions ;o). 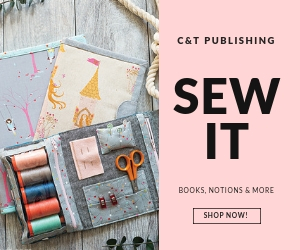 Sew along at your own pace, so even if the timing isn't the best for joining in and stitching a block a week; know that you can always download the PDF for each block so you have the information when you are ready to start sewing. I tend to hang on to even the tiniest bits of fabric, not always knowing what I will end up making from those scraps, but trusting I will come up with an idea at some point. 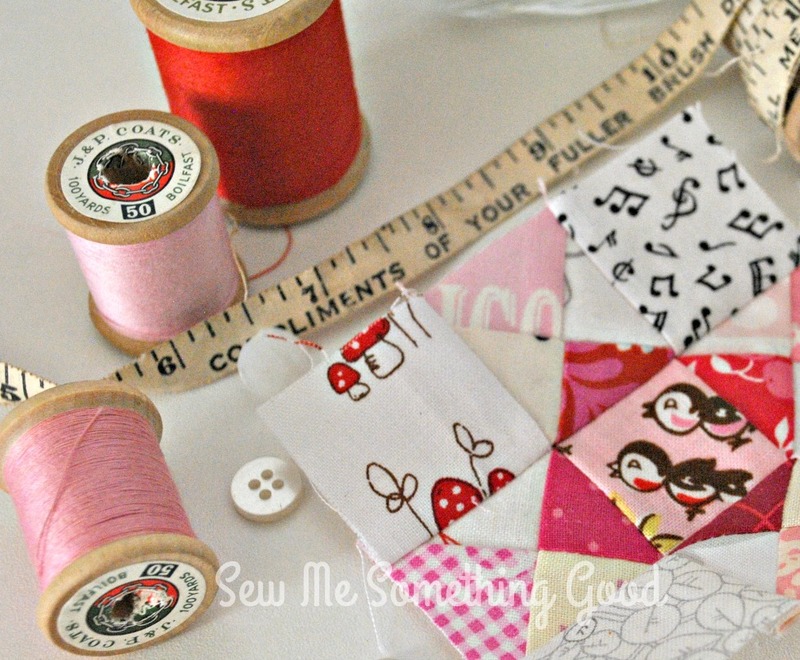 Today, as I was sewing up a version of my Terrific Tulip block for a project, I needed some leader/enders. I keep a little dish of triangles trimmed from HST units on my cutting table and decided to stitch them together as my leader/enders. 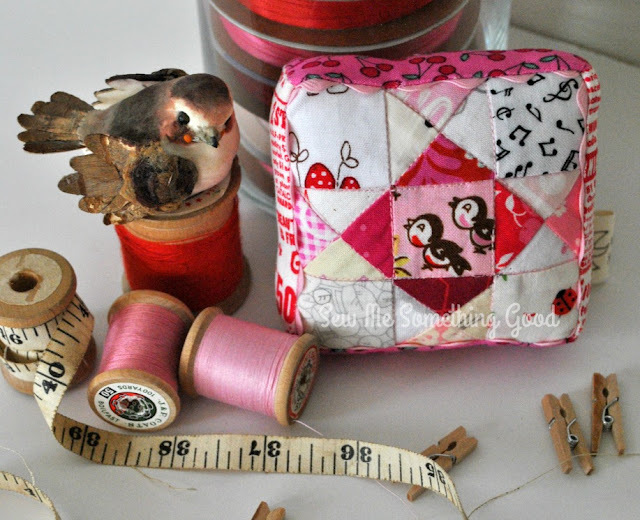 Pretty soon, I had a little collection sewn up and couldn't resist turning them into a tiny patchwork block by combining them with some handpicked 1.5" squares in my stash.